Send us details of your move and we'll get right back to you with a quote and additional details. Enter your details below and our customer service will call you. 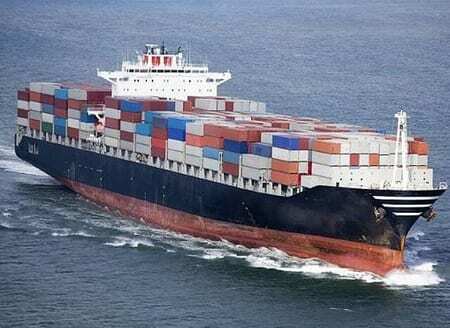 Whether you’re moving just across the Channel, or to the other side of the globe, here at Top Removals we have an experienced team of international removals specialists who will handle every aspect of your international move. If you need a friendly, yet professional, fully insured removal company in the Greater London area then why not give Top Removals a call. We’re moving experts of many years, priding ourselves on reliability, punctuality and competitive prices! Relocating a business can be a stressful experience, one which requires an enormous amount of effort, planning and time. Thankfully, our professional, experienced team can makes yours a smooth transition. 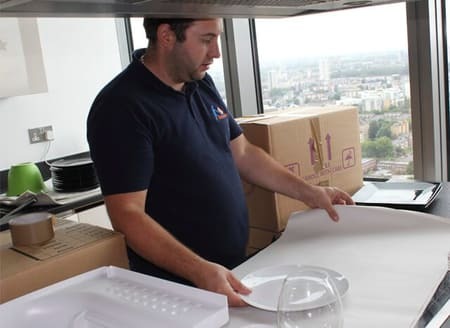 Top Removals has numerous security-patrolled storage facilities, providing you with an affordable storage solution for your office equipment, household items, or any other goods which you need to safely store. Man and Van service in London is the most preferable when you’re moving just a few items or when it is a local straightforward move. The Man and Van option is charged by the hour and involves a motivated crew and 3,5t van. We offer full range of packing and unpacking services. That includes partial pack, fragile packing or export wrap and pack by trained and insured operatives. 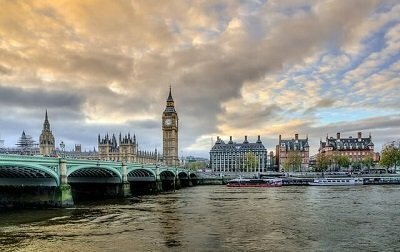 Welcome to Top Removals London! Top Removals are well renowned for providing the premier removals, moving and storage service in London and the surrounding areas. As fully accredited members of BAR and the National Guild of Removers and Storers (NGRS) we exact the highest standards of service and take the utmost pride in all our work. 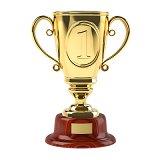 We consistently achieve 100% customer satisfaction for our clients and operate in strict adherence with the Removals Ombudsman Scheme to ensure the safety of your valuables and deliver ultimate peace of mind. Our professional expertise and meticulous attention to detail have been successfully collected over decades of removals experience and we continually deliver the finest commercial and domestic removal services for many satisfied clients. Our moving packages are carefully tailored to suit all individual requirements and budgets. We offer professional yet comprehensive nationwide and London house, business, and office removals relocating abroad or any other ad hoc removal projects. Top Removals truly cater for all requirements with an extensive end of tenancy cleaning service for commercial or domestic tenants to leave your property in a pristine condition, aiding in the return of your bond when you exit your property. Our state of the art London storage facilities utilise cutting edge CCTV systems to maintain and continue the standards of service we are famous for. 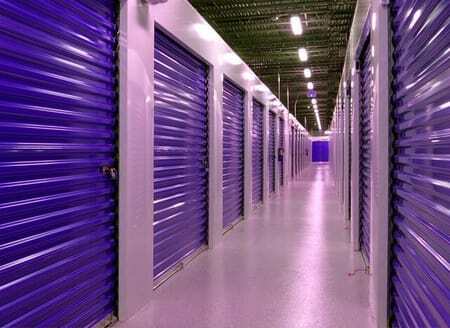 Our countless satisfied customers return to us for the foremost storage and removal services and we ensure we do not disappoint, time and again. You may rest safe in the knowledge that our specially trained and practical removals experts have years of experience in moving, transporting and relocating all manner of businesses to their new premises with maximum ease, minimum disruption and an enviable service which is truly unrivaled in London and the surrounding areas. 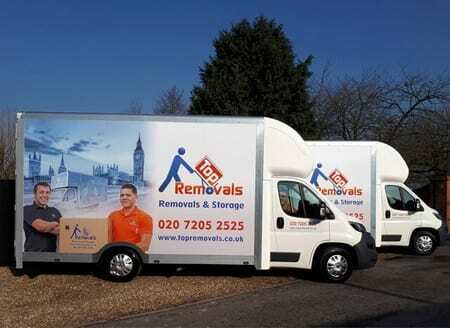 Top Removals cater for every requirement and with a host of additional services to make life easier including goods dismantling and reassembling, cleaning and storage services why not give us a call today to discuss your requirements and one member of our professional and friendly moving company will be delighted to assist with your inquiry.